White dwarfs are the final stage in the lives of stars like our Sun. At the end of its life, these stars eject their outer atmospheres, leaving behind a hot, compact and dense core that cools over billions of years. The temperature on their surfaces is typically around 100,000 degrees Celsius (in comparison the surface of the Sun is 5500 degrees). Reindl’s team used the 3.5-metre Calar Alto telescope in Spain to discover and observe a white dwarf in the direction of the constellation of Triangulum, catalogued as GALEXJ014636.8+323615, located 1200 light years from the Sun. Analysing the light from the white dwarf with a technique known as spectroscopy, where the light is dispersed into its constituent colours, revealed the signatures of highly ionised metals. Intriguingly these varied over a period of six hours – the same time it takes for the white dwarf to rotate. 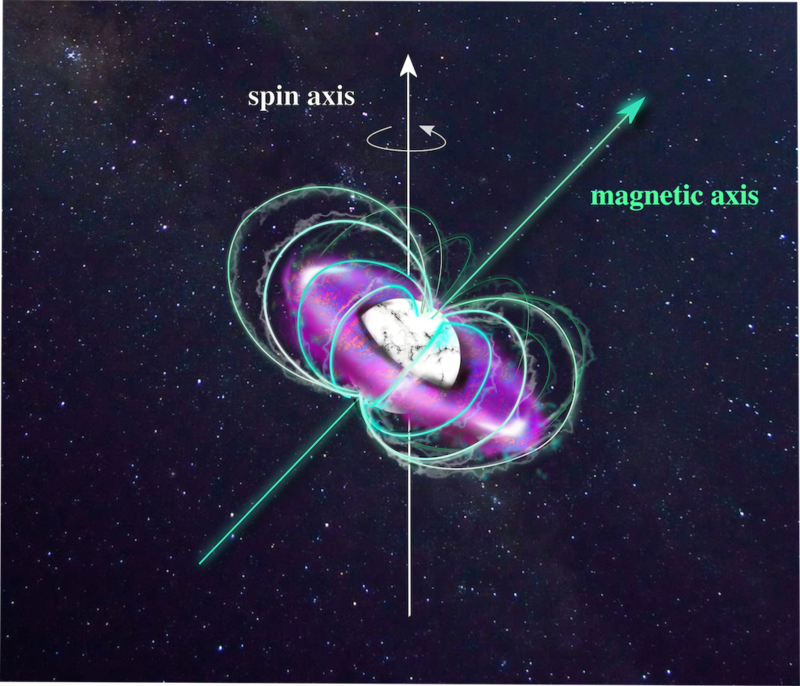 Reindl and her team conclude that the magnetic field around the star – the magnetosphere - traps material flowing from its surface. Shocks within the magnetosphere heat it the material dramatically, stripping almost all the electrons from the metal atoms. Artist’s impression of the hot white dwarf GALEXJ014636.8+323615 (white) and its ultra-hot circumstellar magnetosphere (purple) trapped with the magnetic field (green). Credit: N. Reindl. 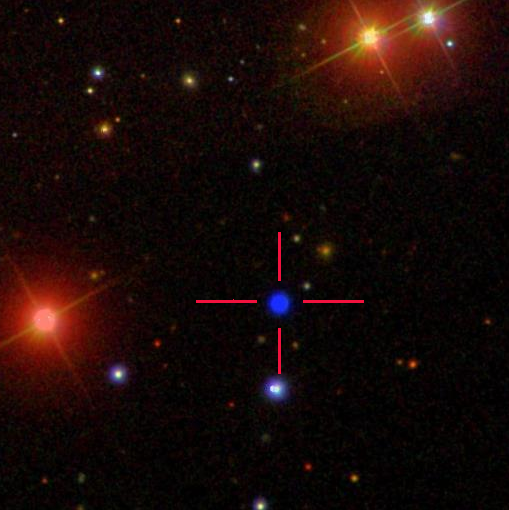 Colour image of the white dwarf GALEXJ014636.8+323615 from the Sloan Digital Sky Survey. Credit: Sloan Digital Sky Survey. The new work appears in “Unravelling the Baffling Mystery of the Ultra-hot Wind Phenomenon in White Dwarfs”, N. Reindl, M. Bainbridge, N. Przybilla, S. Geier, M. Prvák, J. Krticka, R. H. Østensen, J. Telting, K. Werner, Monthly Notices of the Royal Astronomical Society: Letters (2019), 482 (1) (DOI: 10.1093/mnrasl/sly191). The Royal Commission for the Exhibition of 1851 awards grants and fellowships in support of science and industry to the value of around £4m a year. First established in 1850 to stage the Great Exhibition, the Commission initially invested the Exhibition's profit by purchasing the land for development of the South Kensington cultural estate of museums, colleges and the Albert Hall.